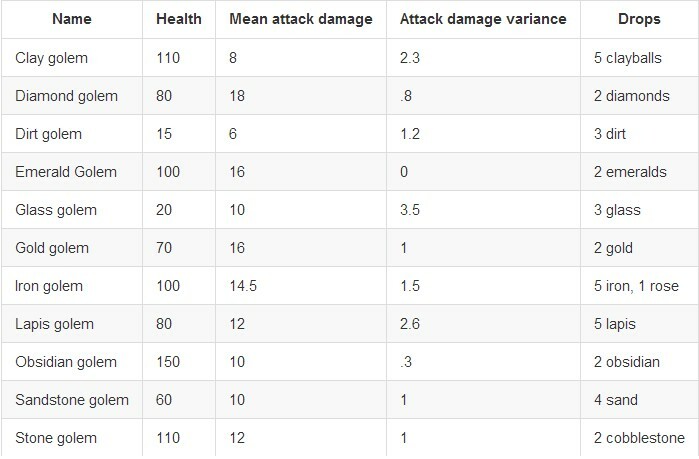 This mod adds currently 18 new mobs similar to the Iron Golem, with varying stats such as health, attack damage or drops. 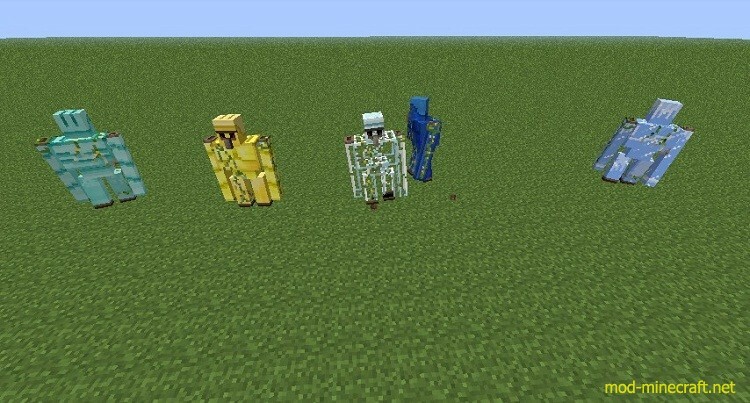 They are built in the same way as the Iron Golem, but the iron blocks are replaced by some other block. 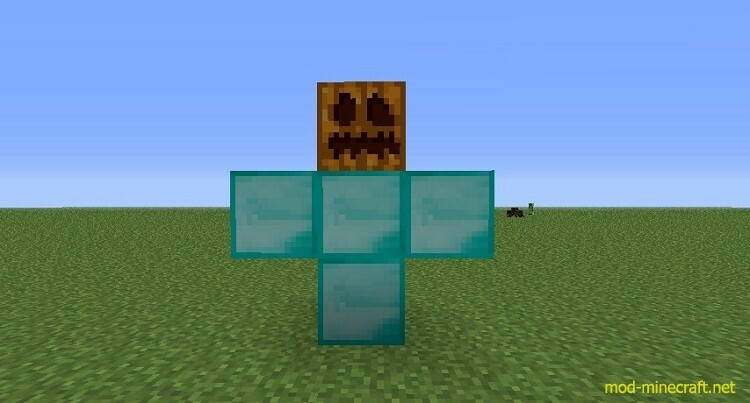 The Ice golem can walk over water by freezing it, and over lava by transforming it into cobblestone/obsidian. It also freezes stuff it attacks: Can’t move, attack, mine, enderpearl/teleport; if hit while frozen, take damage and become un-frozen. It’ll also extinguish itself rather quickly when on fire. The Netherrack golem shoots fireballs similar to blaze’s instead of attacking in melee, and is immune to fire (but it’ll burn forever). It uses char/coal, blaze rods/powder or fire charges as ammo, right-click it to see ammo level. You need to set its ‘arms’ on fire when building one. The Redstone Golem emits a level 15 redstone signal. 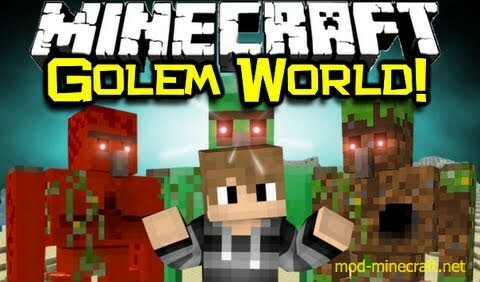 The Glowstone Golem emits level 15 light. The Gold golem does 10 hearts damage on average at first, but that decays as the golem attacks (down to 1 heart), and recovers if the golem leaves combat for a while. 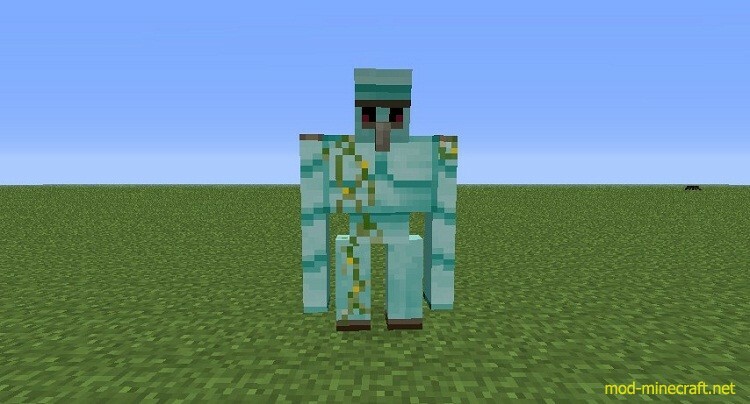 The Quartz golem can charge an enamy, moving faster and doing more damage on the first hit. The Lapis golem leaves a trail of blue particles in its wake. The Switchable golem can be switched on or off by right-click. 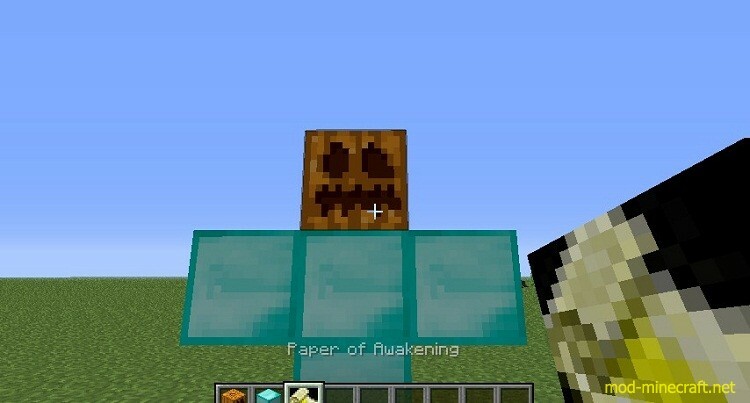 To get started, you need to craft a Paper of Awakening: surround a piece of paper with 4 redstone dust in the corners and 4 glowstone dust (you can swap redstone and glowstone). Then, build a golem in the correct shape (same as the iron golem for most of them) and right-click the paper on its head. This will consume the paper.